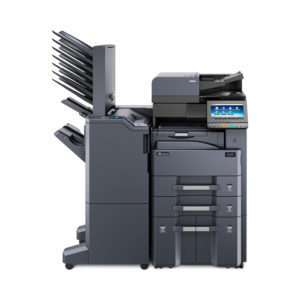 Powerful, scalable and secure, the versatile Copystar CS 3212i Black and White Multifunctional Printer (MFP) handles your most demanding Print, Copy and Color Scan tasks with ease. 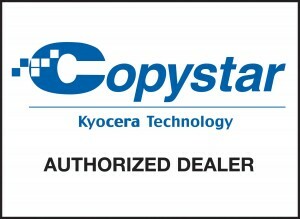 Built on a user- and eco-friendly platform, the network-ready Copystar CS 3212i supports busy workgroups with fast print speeds, flexible paper handling and high-quality imaging. Standard Wireless LAN and popular Mobile Apps keep on-the-go employees seamlessly connected. 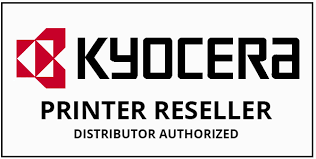 To further optimize workflow, add paper trays, a professional finisher, high-speed Fax and plug-and-play KYOCERA Business Applications. The Copystar CS 3212i, an all-in-one that’s all that, and more!